Need some space to keep all the everyday bits we all need in our bathrooms? 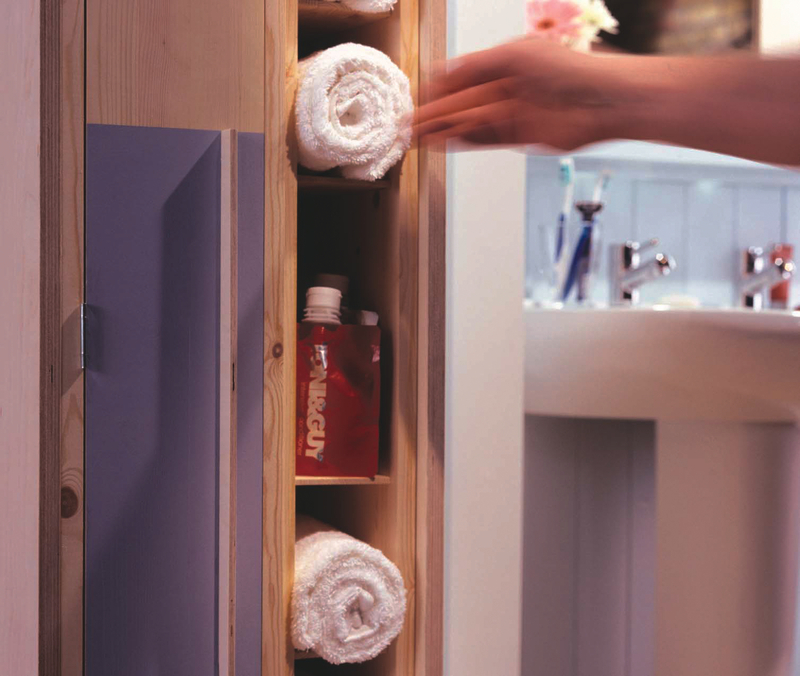 This bathroom cabinet will provide a place for all those bits and keep your bathroom neat and tidy. The door is 1523mm x 181mm. Cut the pine board and birch ply to size. Work out your spacing and mark up both tall sides. Remember these are a pair, so each side is a mirror image. 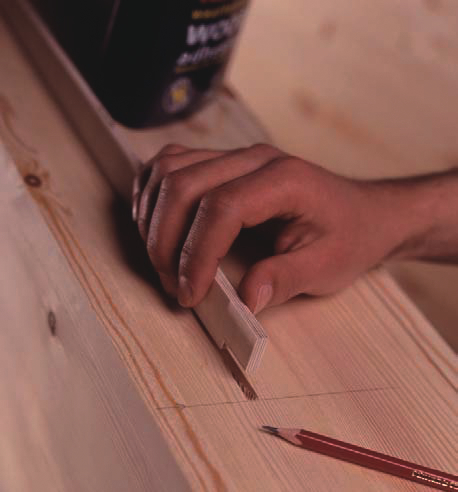 Use a 6mm cutter and the router to run rebates for the shelves 6mm deep, stopping 20mm from the front edge. Cut a 5mm x 10mm notch from each front corner of your shelves. Dry assemble with all the shelves. If it works, glue the shelves in position, screwing the top and bottom pieces to the sides. The birch ply outer is glued and screwed together. Drill a pilot hole for the screw first and countersink the hole. 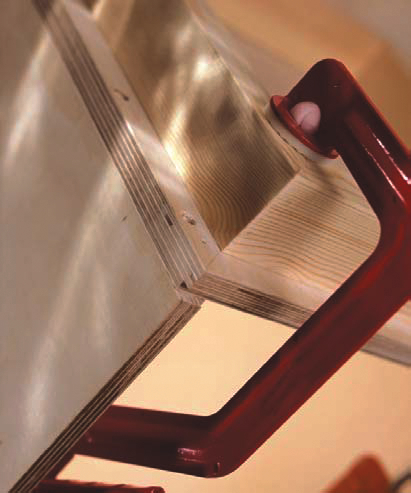 If you wish to put a back onto the entire cupboard, rebate the back edge of the birch before assembly. 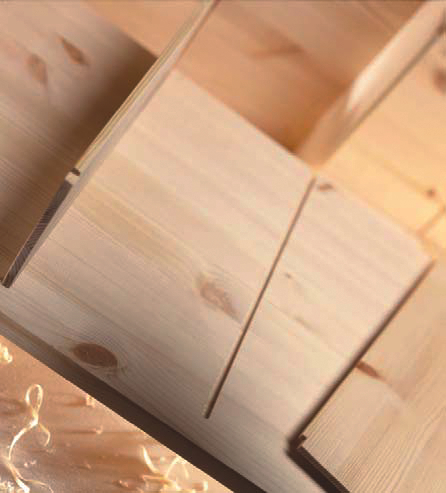 The plinth is made from 4 x 45mm x 45mm x 320mm pieces of planed pine. Mitre the corners of the 45mm x 45mm planed pine and glue together. Once this is set the frame can be glued to the base of the birch section. The remaining pine board and birch ply pieces can now be glued and screwed together. To simplify the hanging process and because this is a small, lightweight door, use flush hinges. These are widely available and mean you don’t have to rebate the door or the door frame. Drill pilot holes to avoid splitting. 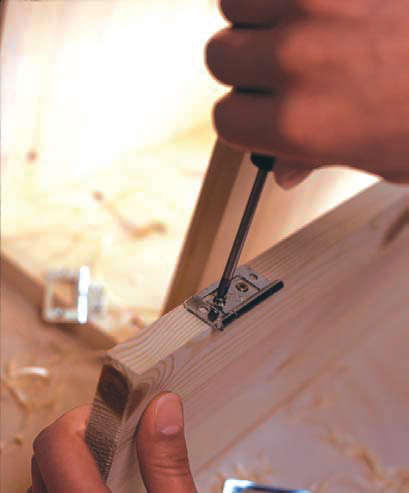 Using your birch ply off-cuts, create the handle for the door by making a slot with the router and a 6mm cutter, notching the ends of the handle as you did with the shelves and glue in position. The two inner shapes can now be slotted into the outer birch shape to form the final cupboard design. Your DIY bathroom cabinet is ready to hang and use.